Most furniture for adults is not child-friendly because they are not built to be used by children. On the other hand, child-sized furniture sometimes doesn’t fit in with the interior design at home. What are parents going to do? Check out some of the child-friendly tables below! One or two can also be used by adults. You may even be able to customize it on your own 😉 or make an adult version for yourself. Ikea has two types of Kvistbro tables. One is slimmer while the other is stouter and wider. These tables are perfect for families because the children’s toys can be stored in the wire basket. With the lid on top, parents and adults can use it as a coffee table. Ikea Gualov is similar to Kvistbro but the lid has raised edges. The raised edges prevent toys such as blocks and Legos from falling over easily. Again, there’s storage underneath which makes cleaning up easier. There’s a gap between the lid and basket so the lid doesn’t need to be raised unless needed! When paired with Ikea’s Trofast trays, Flisat is another perfect table for children. The trays are good to store art and crafts supplies and toys such as Legos, blocks and puzzles. When it’s time to clean up, place everything back in the tray and cover it up with the lids. It can also double as a child’s study table. Similar to Ikea’s Gualov, this table has raised edges which is perfect for toy racing cars and tower blocks. For storage, invest in clear containers that can fit under the table to keep things neat and tidy. 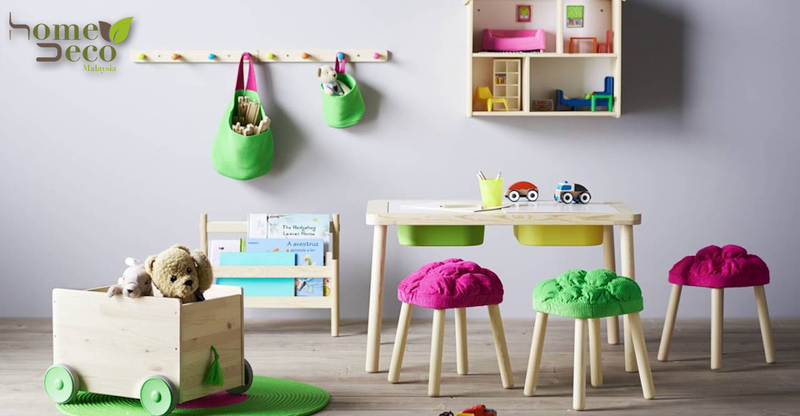 This adorable table and chair set have storage in each stool! Each child gets to store their favourite toys in their seats. The table is also good for playing toys, arts and crafts and tea-time. You can personalize the table by decorating with stickers or get it repainted. Joanna Gaines Has New Target Collection And We Want It All!